These days Ubuntu users are being offered various CD/DVD burners. 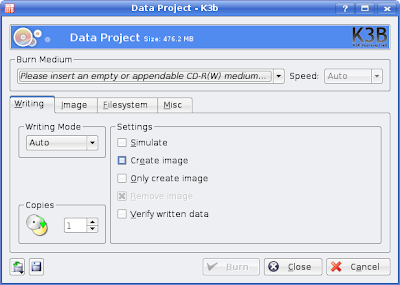 In order words, to make a data CD is not a difficult work under Ubuntu. You can follow a short tutorial from Ubuntu Geek to know how to burn a CD by using GnomeBaker. WikiHow also has a post on this topic. In addition, I will provide another tutorial for burning a CD in Kubuntu Gutsy. 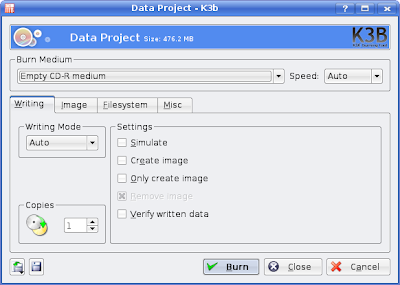 K3b is a default application in Kubuntu Gutsy. It allows you to burn CDs or DVDs with a comfortable user interface. To know more details of useful features please read at K3d websites. Now I will show you step-by-step to make a data CD by using this software. For example, I stored a photo album of my Barcelona trip last month in a folder. Now, I want to make a copy of all pictures. So I have to browse to that folder and press "Ctrl + A" to select all. Then drag and drop all selected files to the panel at the bottom. Put a name for my album (CD label). I have got a ready status for burning as the following picture. You can change some default parameters for burning your CD. For example, I have changed the speed of burning (speed = 24x). Just wait for some minutes you will have a new data CD. This is also a good manner to backup your data to external storages. A logo is just a graphical element, a symbol, or sign. However, it plays an important role in the development of your business because it can help you form a trademark for your company. If you are a blogger or a webmaster, do you need a logo for your blog or your website? I think there is no reason to say NO if you also need to make a good trademark. Today I will show you how to make a professional and eye-catching logo at a leading online provider of logo design. Now you go to the logo design website and click on "Try it Free" to make a new logo. Images are grouped into three different groups (High-Tech, Bold, Flair). It depends on the objective, experiment, size and status of your company you can determine which group is the best one. However, if you can't select a final decision the Image Calculator can help you to determine whether your look should be High-Tech, Bold, or Flair by answering some questions. In this tutorial, the first group is selected for VnTutor. Because my blog is a technical blog which provides Free Tips about Ubuntu Linux, I have selected "Computer + Internet" industry in the following table. For example, I have selected one globe symbol to show on my logo. I have entered "VnTutor" into the first line in the input box located at the top-right conner. Then "Ubuntu Tips" is filled with another font into the second line of the input box. Now, I have obtained a result like this. Just click on the graphical items (e.g. your symbol, your name, or your description) to move to a proper positions to make a good layout. The remanding work is to customize your logo such as shape, color, and size. For example, look at my logo with strong colors in the following picture. Now, click "Next" button to see your logo put in the different layout of business cards. You can select any business card to see. If you want to make a separate logo, just press "PrtSc" button to capture the current screen and use any graphics editor to cut your logo. However, if you need vector images in the high resolution you can pay for logo design company to get it easily. As I discussed in last post KWallet have offered a great way for Ubuntu users to remember all passwords of their applications which require the authorization. You can retrieve your passwords from the encrypted file via KWallet Manager application normally launched when KDE starts. You can manage that unless you forget your master password. But what should you do if you have forgotten the master password? That is also the topic I want to share today. You will see an error dialog in the case you send a wrong master password to KWallet Manager. It's impossible to view your passwords of other applications if you don't know what is your master password. Other words you can't login into the KWallet Manager to manage your wallets. To solve this problem you have to remove the configuration file stored in the application folder. But normally I prefer renaming the file name. For example, the following commands are done with vntutor user. 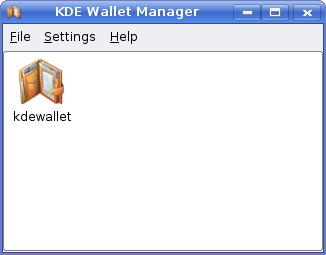 A new configuration file named kdewallet.kwl will be created at the next time when you restart KDE. Please share with everybody here if you know a better way. Nowadays most of computer applications require an authorization before using (e.g. kopete, kmail, ..). It means that you have to remember many different passwords if you want to keep a high safe mode for both your personal information and your computer system. To manage all of them is not easy but to write them down is not secure. So what is a good solution for Ubuntu users in this case? in Kubuntu to securely store passwords. By using this tool all your passwords are stored in a strongly encrypted file which is accessible by all your applications. However, to manage this file you have to define a master password which is required at the first time when you start up this tool. The master password is also used to encrypt all of the information stored inside the wallet. Therefore you don't need to remember all your passwords except the master one. Another benefit which is offered from this tool is that you can save time for entering user names and password every time you start up your applications. All wallets are managed by kwalletmanager. This program keeps various wallets for any kind of data. You can operate with defined wallets via this program. Currently I'm using this tool to remember for my applications in Ubuntu Gutsy 7.10. How about you? If you are relatively new to the internet marking, the first thing you should do is to own a good domain name for your business. Why do you need a good domain name? It's easy to answer this question because a good domain plays a very important role for advertising your products or your trademark successfully. Here are few things to consider for selecting a domain name. Nowadays, there are thousands of domain name providers on the worldwide. That is a good chance for users to select a proper service. So, don't pay too much for a single domain name. For example, you can make a domain registration with a price $10.34 per year from paylessdomains site. To buy a domain, you just enter your domain name in the search box, select the extensions of your domain (.com, .net and .org suggested), and click submit button. Then, take any you like from the list and check out. 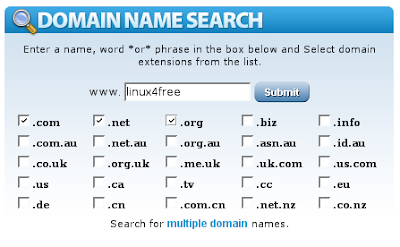 The following picture shows the way that I have done to search linux4free domain. Do you agree with me that Kpdf is the best tool in top 5 PDF readers? At the point in time when I am writing this post, the current version is Kpdf 0.5.8. You can read here to see what are new features of this version. I think that I should write some small tips for this tool. But I will do it latter. Now I will blog for how to change a default PDF reader. Yesterday, I have installed all tools in top 5 PDF readers. Now, I try to double-click on a PDF document, it is shown up in Acrobat Reader. That means Acrobat Reader is set as the default PDF viewing program in my computer. I don't want to remove them right now. May be I will make another comparison next time. But I prefer Kpdf, so it should be the default one. To make it as the default PDF viewing program I have carried out the following steps in both Ubuntu and Kubuntu. Try to double-click on a PDF document again ... It's OK! What is The Best PDF Reader for Ubuntu Users? As you know PDF become an open, ISO standard. To view a PDF file we need to install a PDF viewer or PDF reader. A list of top 5 PDF readers is not too much for installation on Ubuntu Linux. But may be you wonder that if what should be used on your system to bring to the best benefit. Then, the answer is what benefit you need. It means you should know what you expect from the software and how the software meets your requirements. For example, this is what I need for a PDF viewer. Well, I can eliminate one tool from top 5 PDF readers. It's gv tool because this tool doesn't allow me to search text. Now I have to add another option to the above list. That's good. I can eliminate another tool from top 5 PDF readers. It's Adobe Acrobat Reader because this tool is NOT an open source one. One again, I add more options to my requirement. This time xpdf tool is removed from top 5 PDF readers. So which one is better between Kpdf and evince? I try to put one more option to the list of my requirement. 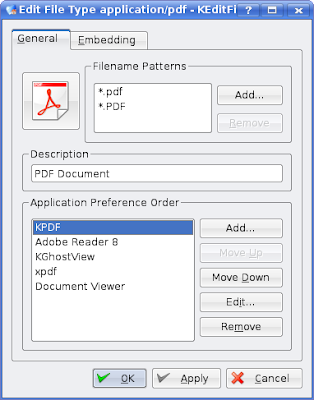 This option will bring to you an answer when you want to make comparison between Kpdf (or Evince) with Acrobat Reader since Acrobat Reader has a low loading. However, in term of performance when loading application Evince will be better in Gnome while Kpdf will be faster in KDE. So you know why Ubuntu offers Evince as a default Pdf reader while Kubuntu uses Kpdf. But if you don't like "a country under two kings", I will vote for Kpdf as the best PDF Viewer in Ubuntu Linux. You will ask me WHY? Wow, let me tell you right now. Kpdf provides many configuration options (e.g. view two pages, configure memory usage, configure program look) which are not found in Evince. I like two mouse features (scrolling mouse and zooming mouse) in Kpdf when reading ebooks while Evince doesn't support these features as well. That the reason why I vote for Kpdf in this game. Nowadays, Adobe Portable Document Format (PDF) has become a standard for reading ebooks and online documentation. To view PDF we need a PDF reader or PDF viewer. Currently there are a lot of free tools for viewing and printing PDF files in the Linux environment. Here I just only compile the best list of five popular PDF viewers for Ubuntu users. All these tools can be installed easily in Ubuntu Linux. Adobe Acrobat Reader for viewing and printing Adobe Portable Document Format (PDF) files. This package is in Medibuntu because Ubuntu no longer provides it as it might violate patents. xpdf is a suite of tools for Portable Document Format (PDF) files. This tools include a PDF viewer and PDF converters (including to/from PostScript). Evince is a simple multi-page document viewer. It can display and print PostScript (PS), Encapsulated PostScript (EPS), DJVU, DVI and Portable Document Format (PDF) files. When supported by the document, it also allows searching for text, copying text to the clipboard, hypertext navigation, and table-of-contents bookmarks. 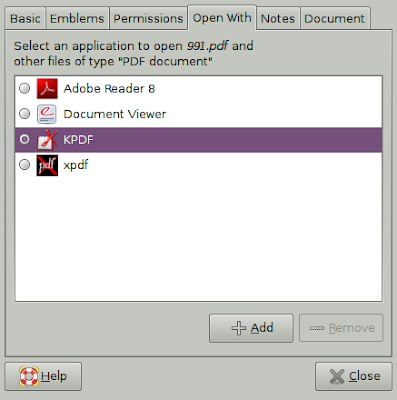 Kpdf allows you to view PDF (Portable Document Format) files. This package includes kpdfpart so you can embed in konqueror or run as a standalone application. 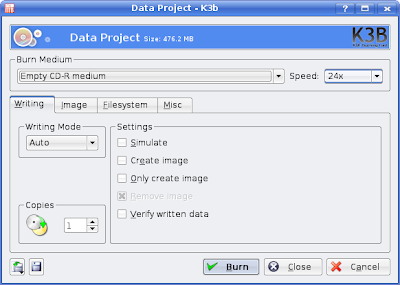 This package is part of KDE, as a component of the KDE graphics module. gv is a comfortable viewer of PostScript and PDF files for the X Window System. It uses the ghostscript PostScript interpreter and is based on the classic X front-end for gs, ghostview, which it has replaced now. The following steps will help you to play ASX files in your Firefox. I have found a new website named how to which allows you to submit your articles and tutorials. This website provides various categories such as Arts & Entertainment, Automotive, Business & Finance, Computer & Technology, Health & Fitness, Home & Garden, News & Society, Reference & Education.